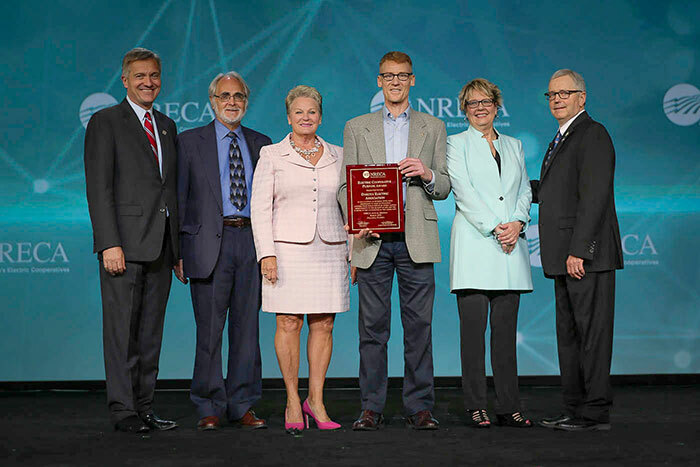 The National Rural Electric Cooperative Association (NRECA) named Dakota Electric Association® as the 2019 Cooperative Purpose Award winner at the NRECA annual meeting in Orlando recently. Dakota Electric’s board members accept the Cooperative Purpose award at the NRECA annual meeting: NRECA CEO Jim Matheson (left) and (former) board president Phil Carson (right); representing Dakota Electric’s board from left to right: Jack DeYoe, Margaret Schreiner, Chair David Jones and Janet Lekson. Dakota Electric, one of more than 900 cooperatives making up NRECA, was recognized with this national award for significant contributions to the communities it serves. Items that were highlighted during the presentation included providing financial donations and volunteers to local nonprofits and community organizations and helping bring the first all electric school bus to Minnesota, along with Great River Energy and Schmitty and Sons. “Innovative projects like this require outstanding leadership and an impressive ability to leverage new partnerships to improve lives. Dakota Electric clearly has both,” former NRECA President Phil Carson said. The award application highlighted all the ways in which Dakota Electric and its employees are involved in the community. 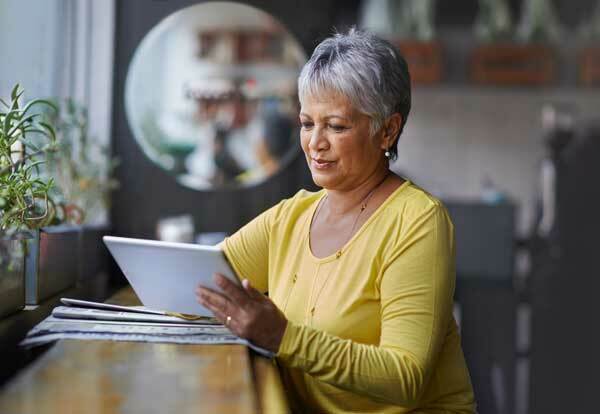 Some of the items mentioned included employees serving meals to local Veterans and volunteering with Meals on Wheels, supporting environmental programs, making tree donations and rallying volunteers to work at a local park each year. Employees are also involved in various community organizations such as Rotary, chambers and foundation boards. Foundational to cooperatives are seven cooperative principles. After receiving the award on behalf of Dakota Electric, Board Chair David Jones highlighted the seventh one.